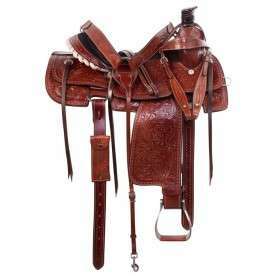 This beautiful roping saddle offers hand carved floral tooling on medium oil leather, a comfortable padded suede seat, shiny silver conchos, rawhide trim, and several accessory ties for multi-purpose use. 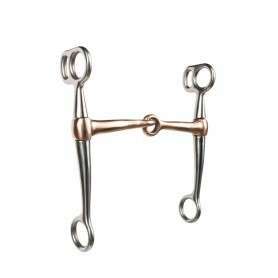 It comes with matching tack for only $349.99! 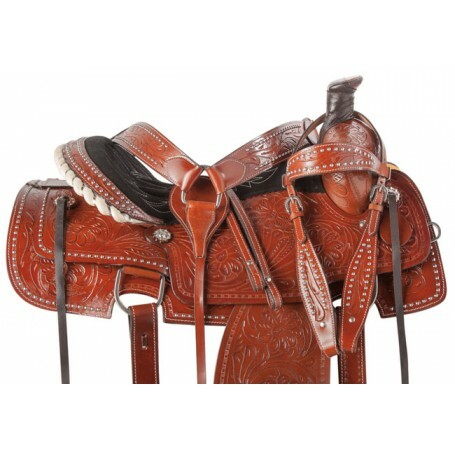 This popular roping saddle design features hand carved floral tooling on beautiful medium oil colored leather and is accented by a black quilt stitched seat that is padded for rider comfort. 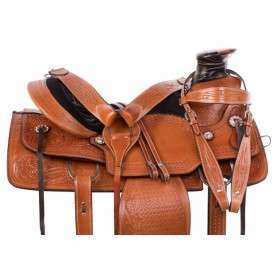 The classic design of the saddle features shiny silver conchos, a rawhide trim cantle, and numerous ties for accessory attachments. 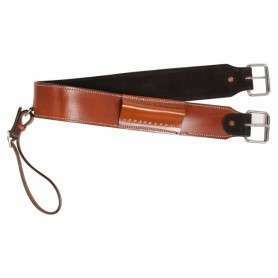 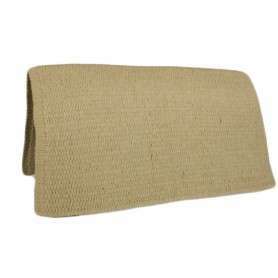 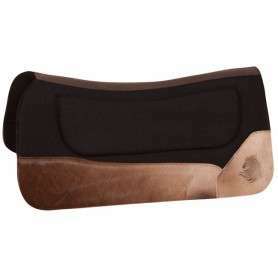 The mule hide wrapped horn is reinforced for extra stability and durability. 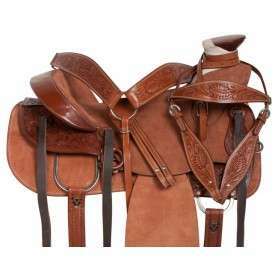 The underside of the saddle is well-padded with fleece for maximum horse comfort. 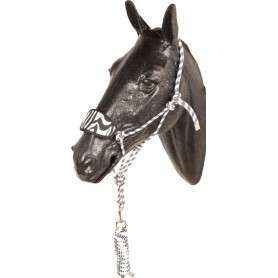 For a limited time only, receive a FREE matching headstall, reins, and breast collar while supplies last! 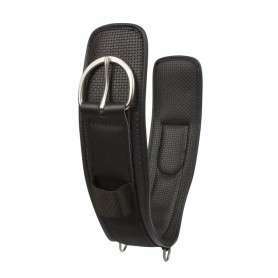 Cinches sold separately.